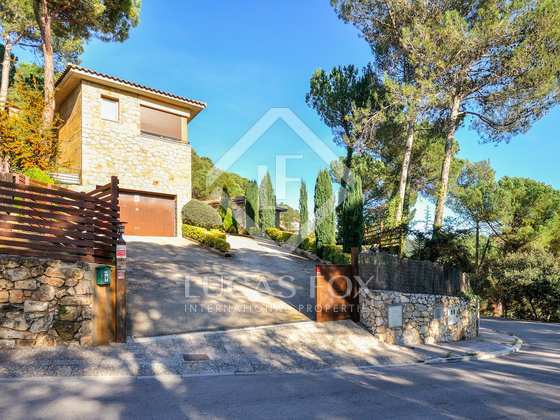 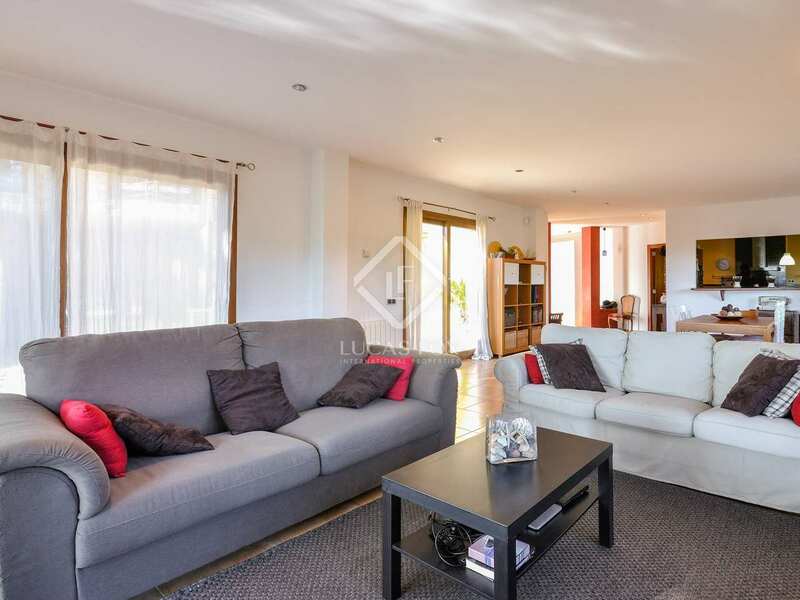 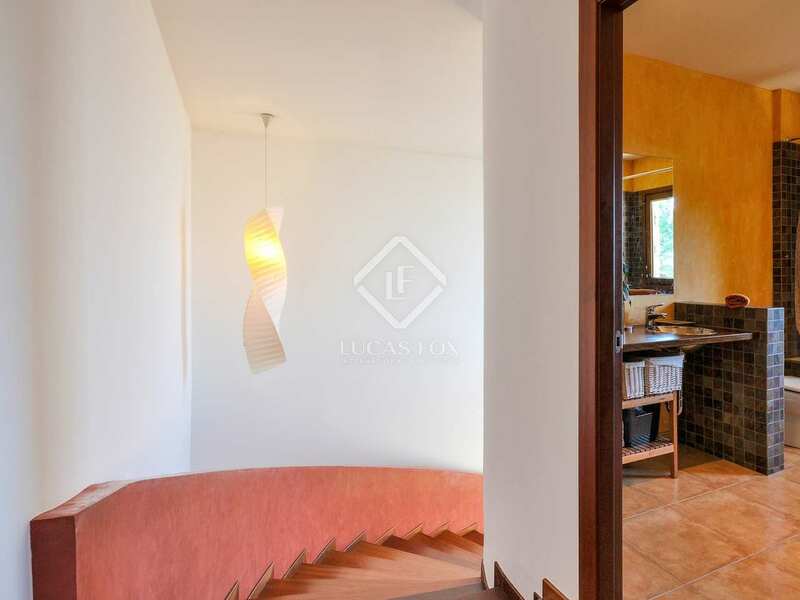 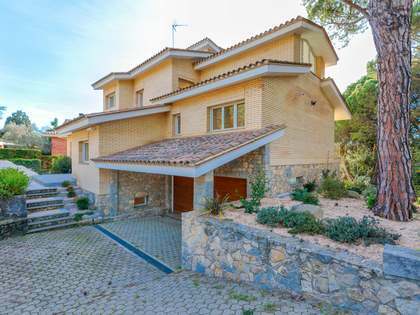 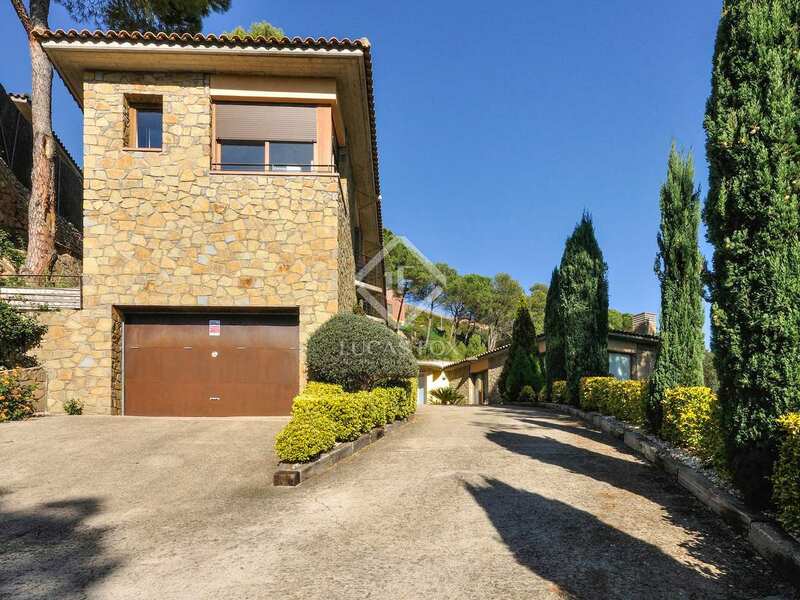 Wonderful modern family home with a traditional façade, garden, pool and lovely green views across Sant Daniel valley out to the historic centre of Girona which is a 20-minute walk away. 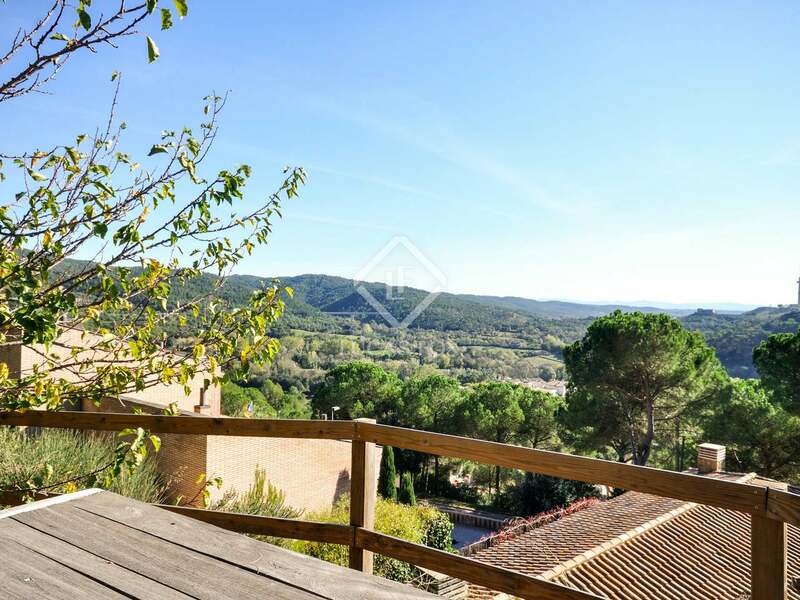 The property enjoys lovely green views over the Sant Daniel valley and of the Cathedral and historic centre of Girona which can be reached in just 20 minutes on foot. 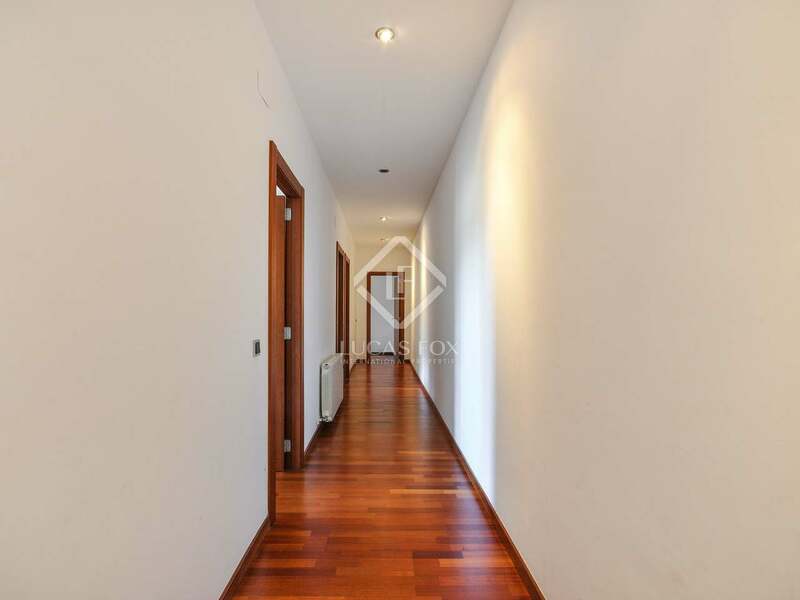 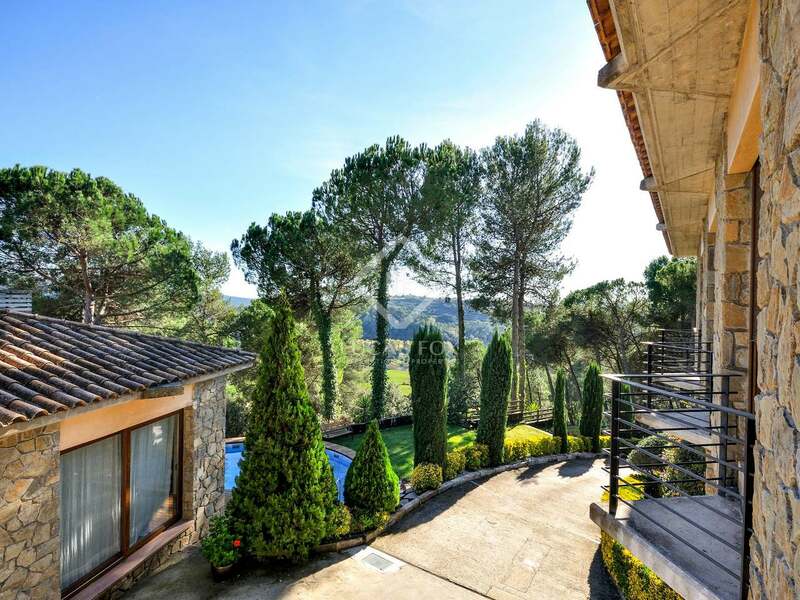 Living in the Montjuic area of Girona offers the peace and pretty views of country living with the convenience of city life just minutes away. 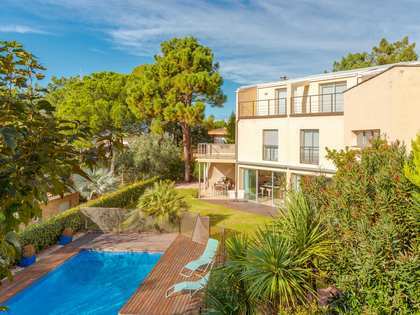 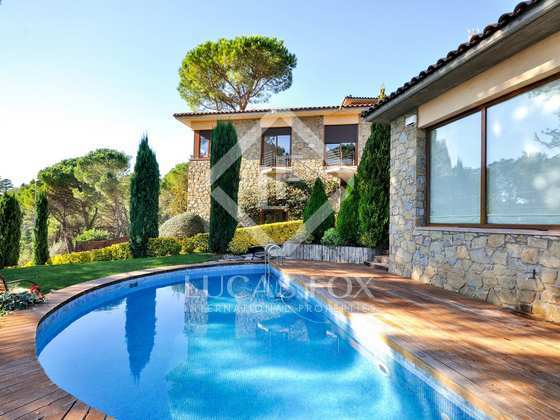 The property sits of a generous 1,168 m² plot with a well maintained garden and beautiful decked swimming pool area, pine trees and a terrace above the house with great views. 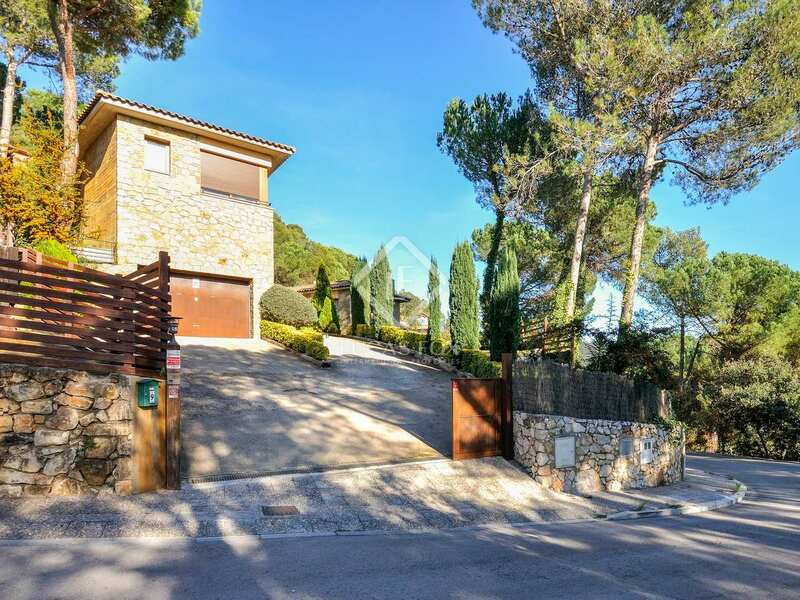 The modern house was built in 2006 with a built size of 392m² and is organised over 2 floors. 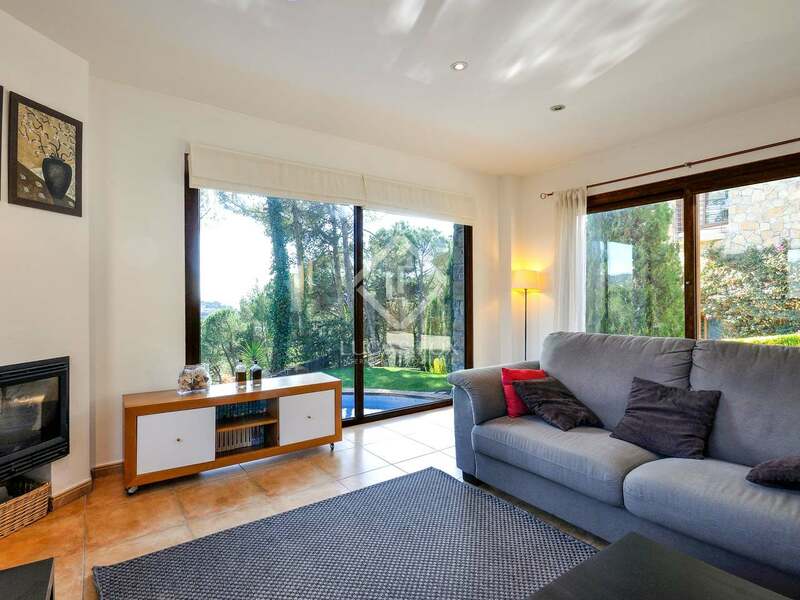 On the ground floor we encounter the very spacious, bright living room - dining room of over 60 m² with floor-to-ceiling sliding doors out to the garden and pool area. 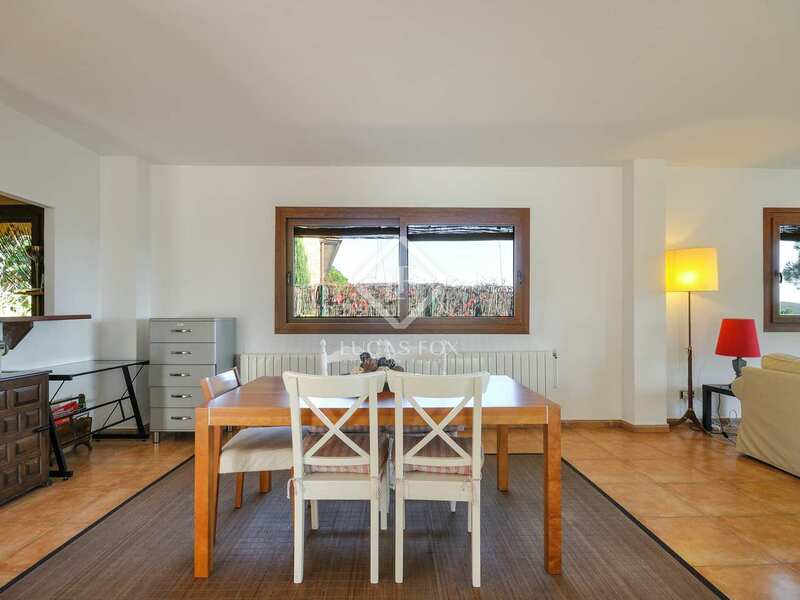 The kitchen is large and very practical, with an attractive breakfast bar, a separate utility room and access to the garden. 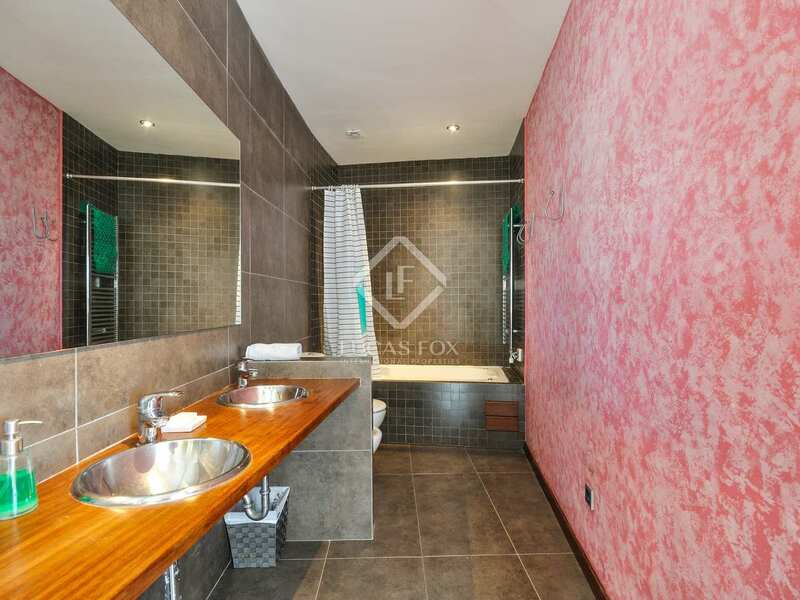 Also on this floor is an en-suite bedroom. 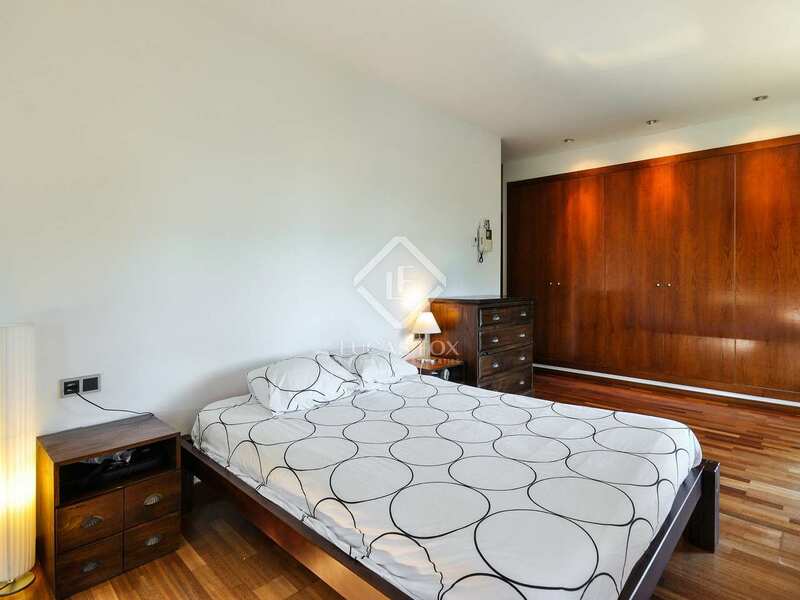 Upstairs we find the excellent master bedroom with its en-suite bathroom, a second bathroom and the 3 remaining double bedrooms. 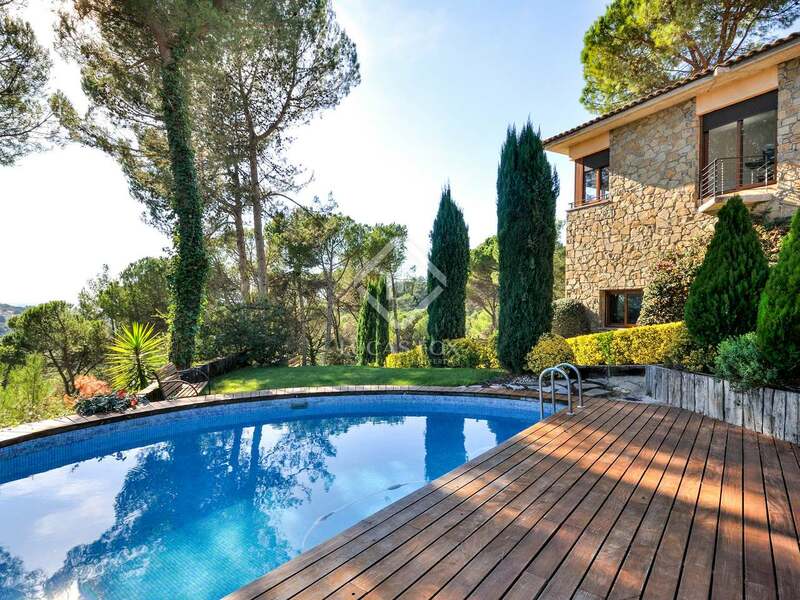 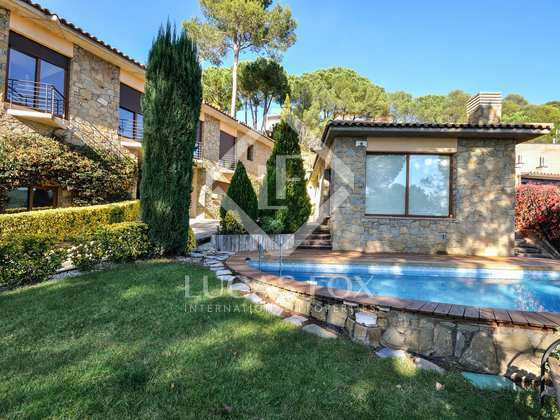 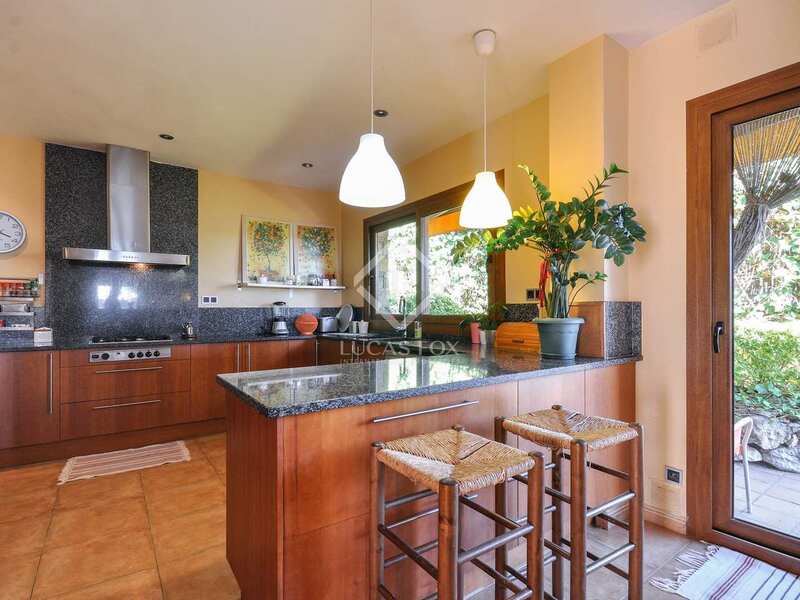 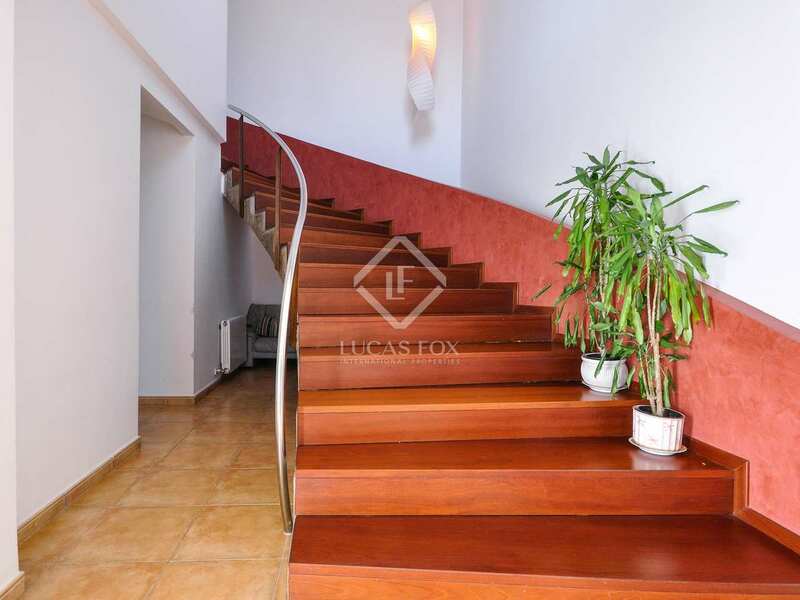 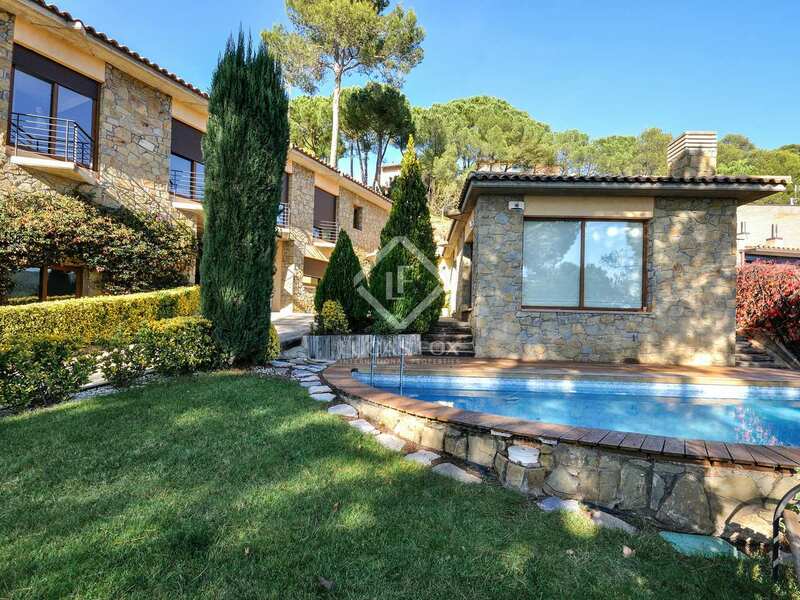 A well appointed 5-bedroom family house with a pool and charming location in Girona. 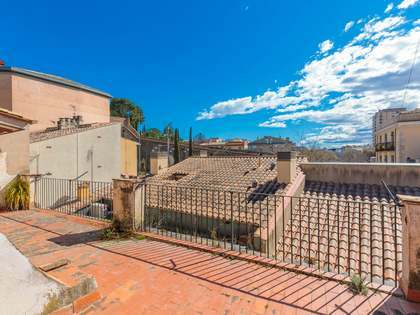 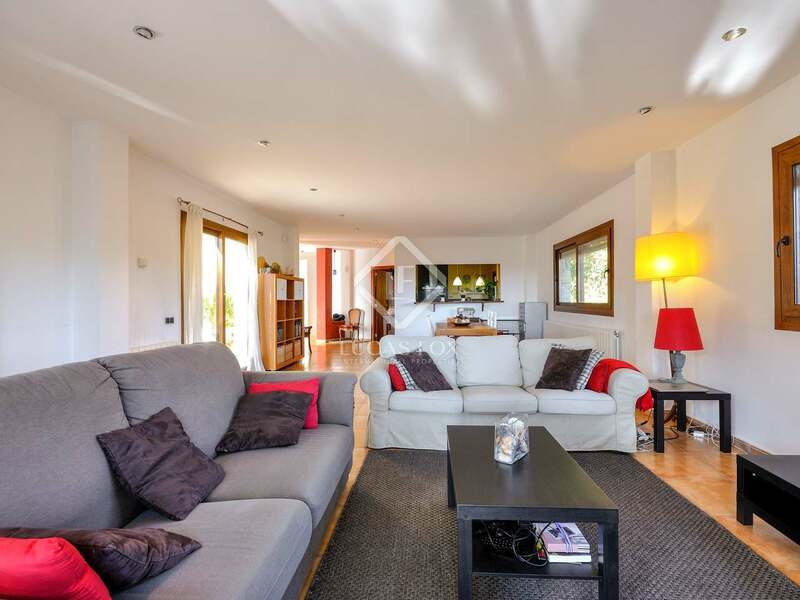 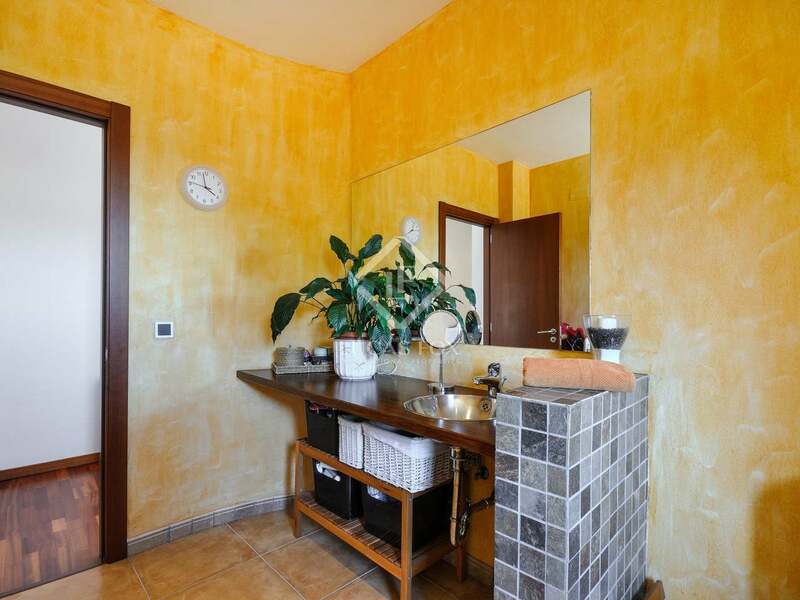 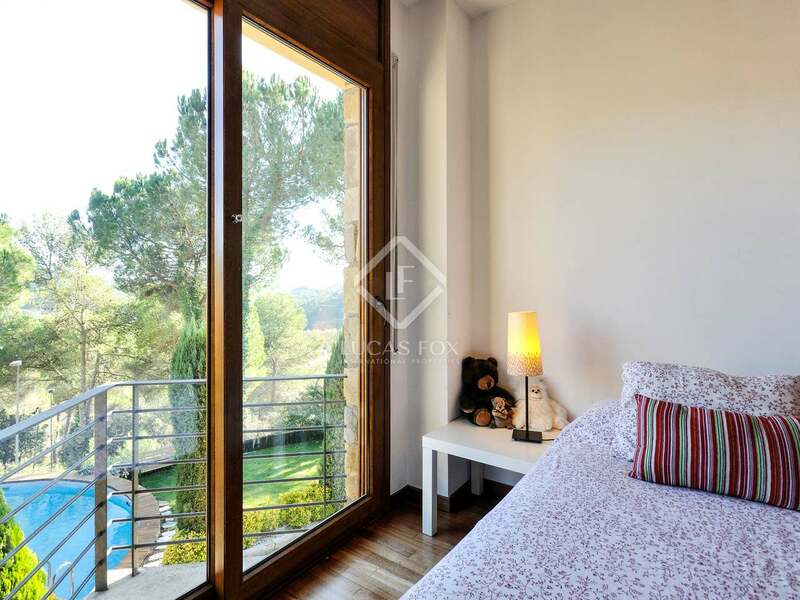 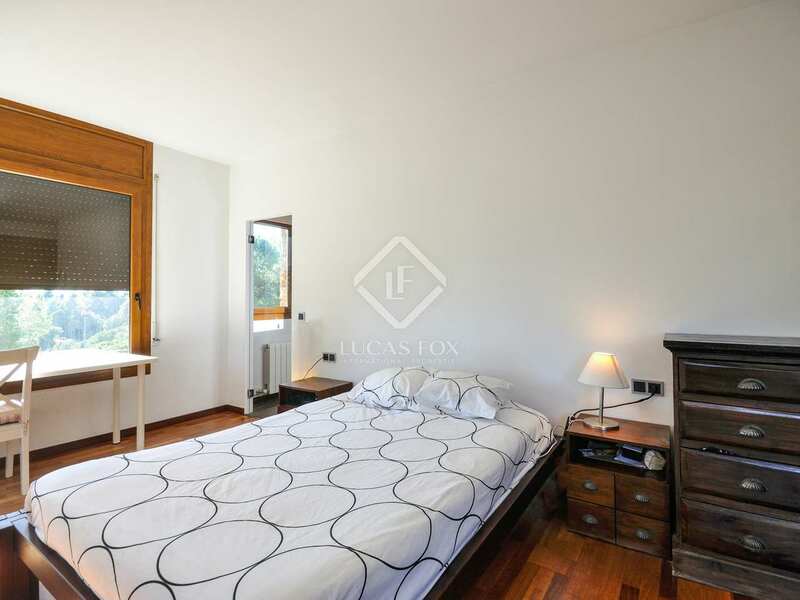 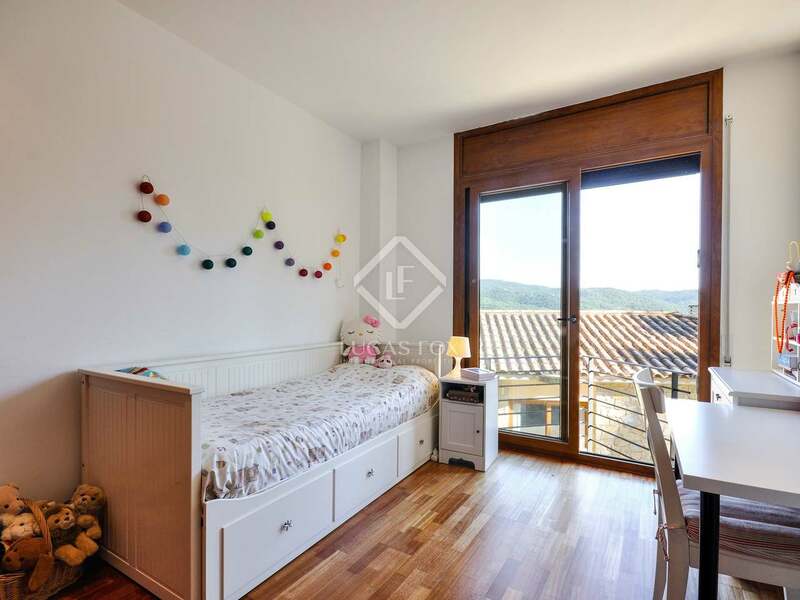 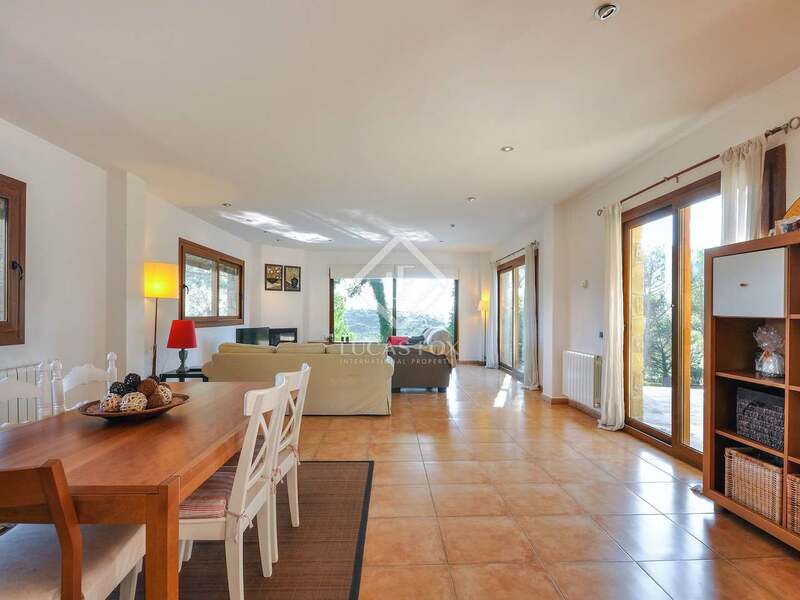 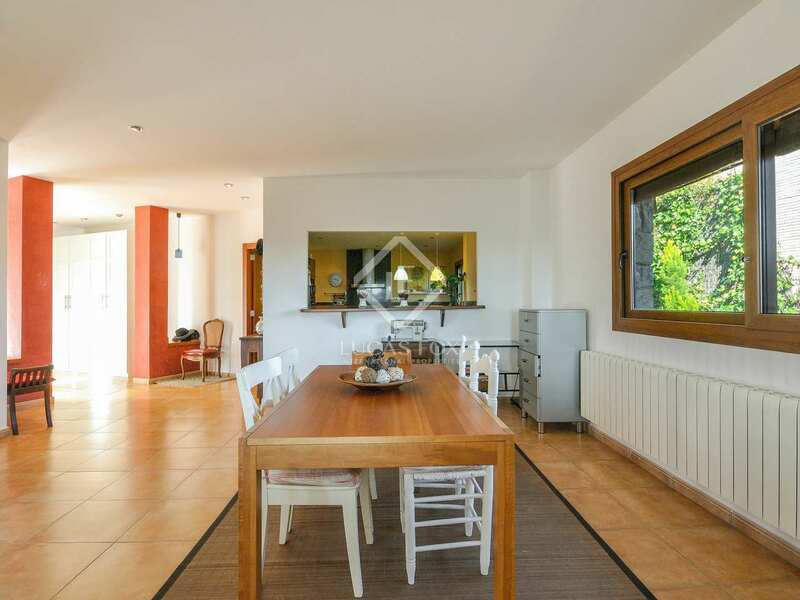 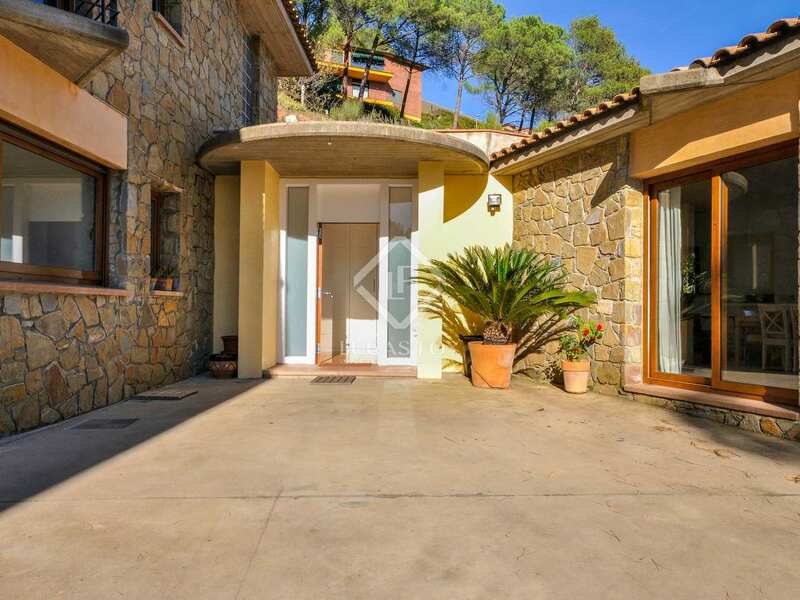 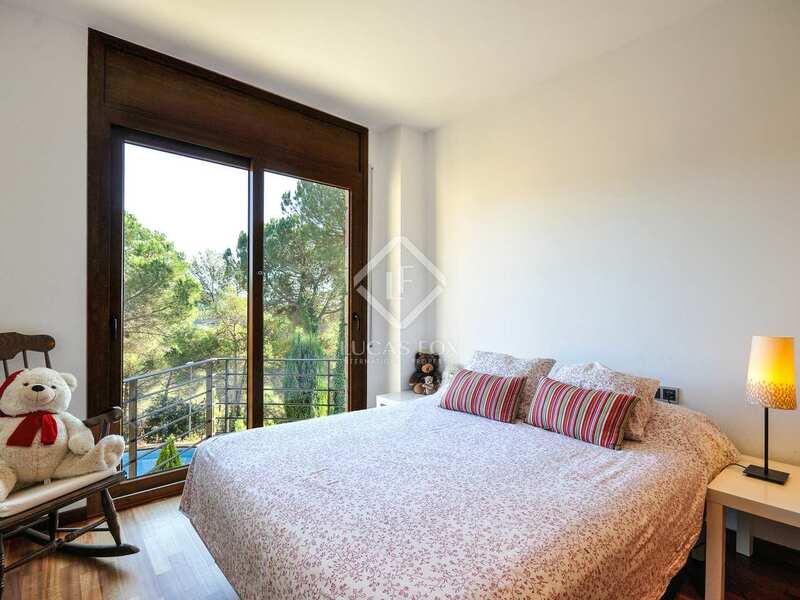 This property enjoys a beautiful tranquil setting in the Montjuic district of Girona with views over the historic centre of Girona and the Sant Daniel valley. 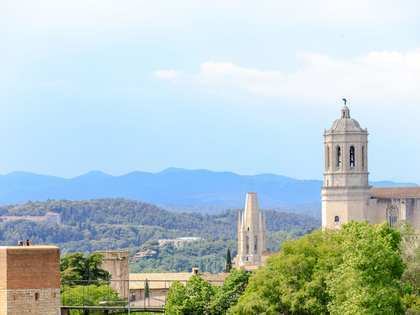 It is a 20-minute walk through the Sant Daniel valley to the historic centre of Girona city and is close to public transport and schools.